Link to Experimental Composite Y-DNA Haplogroup R Tree by Ray Banks. Y-DNA haplogroup R-M207 is believed to have arisen approximately 27,000 years ago in Asia. The two currently defined subclades are R1 and R2. R1-M173 is estimated to have arisen during the height of the Last Glacial Maximum (LGM), about 18,500 years ago, most likely in southwestern Asia. The two most common descendant clades of R1 are R1a and R1b. R1a-M420 is believed to have arisen on the Eurasian Steppe or the Indus Valley, and today is most frequently observed in eastern Europe and in western and central Asia. R1a-M458 is found at frequencies approaching or exceeding 30% in Eastern Europe. R1b-M343 is believed to have arisen in southwest Asia and today its sublcades are bound in various distributions across Eurasia and Africa. Paragroup R1b1* and R1b1a2-V88 are found most frequently in SW Asia and Africa. The African examples are almost entirely within R1b1a2 and are associated with the spread of Chadic languages. R1b1a1a-P297 is found throughout Eurasia. R1b-M73 is observed most frequently in Asia, with low frequency of observation in Europe. R1b-M269 is observed most frequently in Europe, especially western Europe, but with notable frequency in southwest Asia. R1b1a1a2-M269 is estimated to have arisen approximately 4,000 to 8,000 years ago in southwest Asia and to have spread into Europe from there. The Atlantic Modal Haplotype, or AMH, is the most common STR haplotype in R1b1a1a2a1a-L11/PF6539/S127 and most European R1b belongs to R1b1a1a2a1a1-M405/S21/U106 or R1b1a1a2a1a2-P312/PF6547/S116. R2-M479 is most often observed in Asia, especially on the Indian sub-continent and in central Asia. Y-Haplogroup R* DNA Project, Vincent Vizacherro. R-Arabia Y-DNA Project, Aziz A., Kamal Al Gazzah, Saud Abdul Aziz, Abu-Saeed. R1a and all subclades Y-chromosome Haplogroup Project, Cyndi Rutledge. R1a WTY Project, Cyndi Rutledge. R1a* Haplogroup Project, Vincent Vizacherro. Ashkenazi-Levite DNA Project (R1a1), A.J. Levin, Bennett Greenspan, Michael Rothenberg. R1a1a and Subclades Y-DNA Project, Lukasz Lapinski, Lawrence Mayka, Marius Wilkoszewski, A. J. Levin, Anne M. Berge, Michal Milewski, et al. R1a1a1h L176.1 Project, Roy Murphy. R1b and Subclades Gateway Project for R1b (M343+) Y DNA Haplogroup (includes M269)-. R1b DYS464X=15.3g Subclade, David Reynolds. R1b French, Steve Gilbert et al. The Jewish R1b Project, Elise Friedman, Sean Silver, Itzhak Epstein, Gil Bardige. R1b1(xP297) DNA Project, Vincent Vizacherro, Peter Hrechdakian. R1b Basal Subclades, Atanas Kumbarov, Joe Bork, Mike Walsh, Peter Hrechdakian, Sergey Malyshev. R1b1a2 Iberian, Aaron Salles Torres. DF63 and Subclades Project, Kai Ove Gran, Robert Allan, Chevalier Terrance Gach MacFarlane. R1b-L238, Anne M. Berge, Timo Rossi et al. DF100-CTS4528, Douglas Marker, Terry Barton. R1b-S14328, Adrian Ballard, Sergey Malyshev. R1b Projects - U106 and Subclades Experimental Tree for U106. 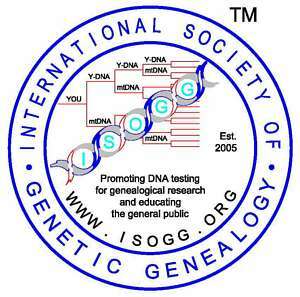 R1b-U106 Y-DNA Haplogroup, Charles Moore, Dan Draggon, Mike Maddi, Gary Corbett, Parke Snavely, Raymond Wing, Wayne Kauffman. The U198 / S29 Project, John Sloan, Chris Meek. R-Z18 and Subgroups Haplogroup Project, Peter Op den Velde Boots,s, David Stedman. R-L1/S26 Y-DNA Haplogroup Project (formerly The Null439 DNA Project), Blaine T. Bettinger, Ph.D., James Fox, David Mason. R1b-P312, P312*, and Subclades of DF99, L238, DF19. R1b-DF27 and Subclades Project, Alasdair Macdonald, Stephen Parrish et al. Y-Haplogroup R SRY2627/L176.2/Z198, Gareth Henson, Stephen Parrish et al. R-L165 (S68) Project, Lori McLeod-Wilke, Alasdair Macdonald, Conrad Terrill, Timothy McLeod. R1b - U152 & Subclades Research Project, Steve Gilbert, Richard Rocca, Rees Recort, Tibor Fehér. R L21 and Subclades Project, Richard Stevens, David Stedman. R-L21 Walk Through the Y, Kirsten Saxe, Alex Williamson, David Pike, David Stedman. R-17-14-10 Haplogroup Project (aka L371), Robert Hughes. R-L21 MacWho Cluster, Andrew Lancaster, Janet Parkes et al. R1b-L1314 and L1315 Haplogroup Project, (possibly private SNPs for Collins, Collings) Arnold Collins. L21->DF13->DF49/S474: R-DF49 and Subclades Project, David Stedman, Paul Conroy et al. R-M222 Haplogroup Project (Niall of the 9 Hostages, Ui Neill Clan), David Wilson, Paul Conroy et al. L21->DF1/L513/S215: RR-L513 and Subclades: L513+, DF1+, Z249+, CTS5396+, Mike Walsh. L21->DF13->FGC11134: R-FGC11134 Project, James Kane et al. R1b-CTS4466 Plus, Elizabeth O'Donoghue/Ross, Joseph Carroll, Nigel McCarthy. R-L21 4466 South Irish, Kathleen Kerwin et al. L21->DF13->S219/Z255: R-Z255 and Subclades Project, Neal Downing, Kim Fields, et al. R-L159 Project, Neal Downing, J. M. Murphy, Kim Fields, et al. L21->DF13->S218/Z253: R-Z253 Project, Daniel Moore, David Pike, David Reynolds, Dennis Wright, Greg Hockings, Michael Barry. The R-L226 Project - Irish Type III, Dennis O'Brien, Dennis Wright. The Irish Type III Website (L226) Dalcassian Clans), Dennis Wright. L21->DF13->DF21/S192: R-DF21 and Subclades, Charles Fueston et al. R-P314 Haplogroup, Jim Leahy, Nigel McCarthy. L21->DF13->CTS6581/DF41/S524: R-DF41/R-CTS2501 & Subclades, Christopher McCown, Richard Stevens et al. L21->DF13->L1335/S530: R1b-L1335 and Subclades, Robert Hughes. L21->DF13->FGC5494: R-FGC5494 and Subclades, Mark Jost. L21->DF13->S1051: R-S1051 Project, George Chandler. L21->DF13->S1026: R-S1026 and Subclades, David Dowell, Jon Willis et al. R2 Y-Chromosome Haplogroup DNA Project, Abdulaziz Ali et al. Added A139.2, CTS11831, CTS11843, BY412, FGC32677/Y6065, Y6068, Y6067/Z18123, Z18128, Z18126, CTS4296, A2072.2, FGC32679.2/Y8603.2, Z33816.2; moved F1265.2/M1313.2 from Investigation to tree on 1 January 2016. Added FGC9631/ZP56, ZP41, PGC9645/ZP60 to tree on 4 January 2016. Added S11481 to tree on 6 January 2016. Added Sergey Malayshev as content expert on 7 January 2016. Moved L261, L288, L381, M367.2, L722, L726, M368.2, L384, L385, F820/Page4, SUR1, SUR2, KMS2, F1493.3/M6377.3, Z1222, Z1223.2, L291, L457/PF6191, Page68, L12, L235, L399, L450, L451, L458, L579, A7309, FGC22516, FGC22528, FGC22533, FGC22547, Z2188, M8944, A46/FGC5598, BY251, BY155, BY143/S27835, BY144/FGC17829/S27834, BY150, BY153, BY154, BY129, BY131, BY132, BY133.2/Y5127.2, BY134, BY135, BY209, BY210, BY122, BY124, BY115/FGC14676, BY116/FGC14683, BY160/Z18014, BY161/Z18015, BY163/Z18017, BY164/Z18018, BY165/Z18019, BY167/Z18022, BY168/Z18023, BY169/Z18024, BY170/Z18025, BY171/Z18029, BY172.2/SK563.2/Z17470.2, BY173/Z18030, BY174/Z18031, BY176/Z18035, BY177/Z18036, BY178/Z18037, BY280, BY281, BY282, BY283, BY284, BY285, BY286, BY287, BY288, BY289, BY290, BY291, BY292, BY293, BY294, BY295, BY296, BY297 from SNPs under Investigation to tree investigation; added CTS4622, CTS5254.2 to Tree Investigation; moved L120/M516/PF6236, L449/PF6223 from Provisional to Tree Investigation on 8 January 2016. Moved A96/FGC10292/Y2999, A625/FGC19610, A433, BY127, BY264, A476, A479, A557, A558, BY239, BY206, BY208/FGC21247, A241, A247, A226, A227, A317, A318, A319, A410, A411, A412, A415, A680, A225, A738/BY198, BY179/F1400, BY185.1/SUR33.1, BY186.1/SUR34.1, BY187.1/SUR35.1, BY188, BY189.1/SUR41.1, BY190.1/SUR42.1, BY191.1/SUR43.1, BY192.1/SUR44.1, BY193.1/SUR45.1, BY194, A162, A163, A164, A165, A166, A167, A169, A170, A171, A172/ZS3079, A173.2/Z15291.2, A176, A179, A180, A183, A185, A186.1/ZS2136.1, A187, A188.2/Z13583.2, A189, A191, A193, A194, A19/S847, FGC496.1/Z6749.1, FGC5561, S2202, L150.2/PF6274.2/S351.2, A228, BY246, BY247, BY248, BY249, A118, A119, A120, A121, A127, A128, A129, A130, A131, A132, A133, A135, A136, A137, A138, A139.1, A142, A144, A41/FGC8002, A43/FGC5594, A44, A47/FGC5605, A48/FGC5612, A98/FGC8622, A99/FGC8624, A105/FGC8638, A106/FGC8643, A107/FGC8646, A108/FGC8647, A109/FGC8648, A110/FGC8649, A111/FGC8652, A112/FGC8655, A113/FGC8659, FGC5507, FGC5508, FGC5510, FGC5511, FGC5512, FGC5513, FGC5521, FGC5522, FGC5523, FGC5524, FGC5530, FGC5533, FGC5534, FGC5537, FGC5538, FGC5539, FGC5541, FGC5543, FGC5544, FGC5551, FGC5552, FGC5554, FGC5557, FGC5558, FGC7448, FGC3268, S7073/FGC462, S3016, CTS3394, CTS5282, CTS5519, CTS7306, CTS8748, CTS9738, CTS9805, DF93/S1687, DF94, CTS12966/DF87, L1200, S259/Z46, S482/Z71, S484/Z48, Z47, CTS8479.2/M5251.2/PF1746.2, CTS9044, Z259, CTS7958, CTS188, CTS4333, PF1557.2, F4036.2, F3867.2, CTS9952, CTS7193.2, F1493.2/M6377.2, PF4363, CTS4299, CTS8289, PF742.2, S251/Z207, Z205, S362/Z208, CTS8002.2/PF2155.2, F3952.2, PF1169.2, PF1217, M3268.2/PF3292.2, L1333, CTS11795.2, PF121.2, CTS1202.2/L1066.2, F1237.2/M1077.2/V2083.2, L1293, Z3001, L1314, L1315, L1312, PF3434.1, CTS11440, CTS12074/S8070, PF7595/S358/Z211, PF7598/Z270, Z210, Z212, Z273, Z279, Z299, S357/Z215, CTS7768/S1307, S234/Z199, S457/Z201, Z202, Z203, Z204, Z264, Z266, Z269, L876, CTS4716, S653/Z2955, Z2962, Z2963, Z2964, S637/Z2970, S640/Z2972, S641/Z2973, Z2245, Z2247, Z260, CTS6519/S4247, CTS11567/Z2572, DF79, DF81, DF83, DF84, S453/Z224, Z222, S360/Z223, L1245/S1264, L1246/S1285, S471/Z252, L1358, L1334 from SNPs under Investigation to Tree Investigation; moved CTS1595, CTS5531/PF6636, CTS8492 from SNPs under investigation to Private on 9 January 2016. Moved S302, S422, S359/Z229, S473/Z261, S381/Z81, S506/Z82, Z80, Z83, S269/Z328, S1731/Z327, S1746/Z332, S1747/Z333, Z335, Z336, L292, L782, S500/Z153, Z154,L557/S394, L561, L908, L909, L526, L564, L580, L583, L1231, S450/Z268, S245/Z245, L737, L738, L739, S256/Z291, Z383, Z276, S372/Z258, S492/Z384, L343, L356, L671, L132.2, L641, L642, L629, L276, L628, L659, L199.3/L443.3/L675.3/PF5371.3, L408, L409, L594, L192.1, L86.2, L220.1, L221, L253, L289, L326, M228.1, L216, L100 from SNPs under Investigation to Tree Investigation on 10 January 2016. General reorganization of contact persons on 12 January 2016. Added FGC23595/Y12190, A1742/Y12192, A1743/Y12193 to tree investigation on 14 January 2016. Added A8816 to tree investigation; moved A7309 from tree investigation to tree on 15 January 2016. Added Z37, S364/Z38, S479/Z54, Z143, CTS1595, CTS5531/PF6636, CTS8492 to tree investigation; moved L150.2/PF6274.2/S351.2 to Notes on 17 January 2016. Moved M335 from tree to tree investigation; moved P25 components from tree to notes on 20 January 2016. Added L754/PF6269/YSC0000022, L388/PF6468, L389/PF6531 to tree on 26 January 2016. Added PH155, CTS46, CTS910/PF6244, CTS2134/FGC47/PF6253, CTS2229/FGC31/PF6254, CTS3625/S4228, L506/PF6267, L780/PF6105/YSC0000254, L822/PF6247/YSC0000075, L1349/PF6268/YSC0000231, PF6246/V1532, PF6248, PF6250/V1980, PF6255, PF6270, PF6272, CTS5676/Y413, A702/Z8137, CTS3063/V2515, CTS3794/PF6256/S4229, CTS4244/PF6257/V2997/YSC0001279, CTS4764/FGC59/PF6041, CTS5454/M6955, CTS7585, CTS8436/PF6259, CTS8612/PF6260, CTS9972/PF6261/V3867, FGC35/PF6150, FGC36/Y409, FGC41/M12190/Y108/SK2062/Z8135, L754/PF6269/YSC0000022, L761/PF6258/YSC0000266, L820/PF6262/YSC0000211, L1068/PF6264/YSC0000223, L1345/PF6266/YSC0000224, PF6249, PF6263, PF6271, CTS3876/PF6458, CTS5082, CTS5577/PF6464, CTS7904/FGC32/PF6471, CTS7941/FGC51/PF6472, CTS9018/FGC188/PF6484, CTS11985/PF6523, FGC57/M12189/PF6424, FGC69/PF6092/Z8143, L502/PF6487, L585/PF6499, L752/PF6483, PF6418/YSC0000061, PF6451/YSC0000166, PF6459/S3848, PF6463, PF6475/S17/YSC0000269, PF6498, PF6501, PF6506, PF6524, V1636, CTS9995/V3884, CTS10107/V3949, V1274, V1956, V1977, V2146, V2313, V2365, V3217, F2482, PH200, PH491, PH861, PH885, PH1030, PH1165, PH1187, PH1417, PH1554, PH1769, PH1840, PH2150, PH2274, PH2588, PH2675, PH2768, PH2778, PH2813, PH3272, PH3508, PH3516, PH3826, PH3939, PH4174, PH4622, PH4673, PH4796, PH5173, SK2056, SK2058, SK2060, SK2061 to tree on 31 January 2016. Added S839/Y2373/SK2221, FGC8000/Y2370, FGC7998/Y2374, FGC7999/Y2368, FGC13007/Y2371 to tree investigation on 4 February 2016. Added S769, S770, S776, S777, S778, S780, S784, S785, S787, S788, S791, S792, S794, S798, S799, S802, Z16846/Y4174, FGC14686, A875, A876, A1787, F1680, A7735, A7736, A7737, A7738, A7739, A45/FGC5597, A45/FGC5597, A46/FGC5598, FGC5563/Y5667, FGC5580/Y7726, FGC5582/Y5651, FGC5585/Y5652, FGC5589, FGC5590, FGC5592/Y5659, FGC5596/Y8428, FGC5599/Y5666, FGC5604/Y5648, FGC5606/Y5660, FGC5607/Y5654, FGC5608/Y5661 to tree investigation on 5 February 2016. Added FGC5584/Y5657, FGC5595/Y5665, FGC5609/Y5655, BY3104, FGC5581/Y5650, A2194/FGC5579/Y5649, FGC5600/Y5662, FGC5603/Y5663, FGC5611/Y5656, MC04, MC07, MC13, ZS1494, A97/FGC8621/Y3532, Y3515, Y3516, A101/FGC8633/Y3518, A102/FGC8634/Y3519, A103/FGC8636/Y3520, Y3524, Y3525, Y3527, Y3528, Y3529, Z3523, to tree investigation; removed A111/FGC8652 not meeting quality guidelines on 6 February 2016. Added A104/FGC8637/Y3521, A7740, A957, FGC13019, FGC13023, FGC13024, FGC13026, FGC13030, FGC13033, FGC13036, FGC13014, FGC13029, FGC13034, FGC13040, FGC13045 to tree investigation; removed A113/FGC8659 not meeting quality guidelines on 7 February 2016. Added Y5628, Y5629, Y5631, Y5634, Y5635, Y5638, Y5639, Y5640, Y5641, Y5642, Y5643 to tree investigation; removed BY285, BY286 not meeting quality guidelines on 8 February 2016. Added S1684 to tree on 9 February 2016. Added FGC36477, FGC36478, FGC36479 to tree investigation; added AM01881/FGC3862/Y2404, AM01884/S1847/FGC3855/Y2401, FGC3857/Y2403, FGC3859, FGC3863/S1859/Y2405, FGC3864/S1861/Y2406, FGC3866/Y2408, FGC3867/S1873/Y2409, FGC3868/S1875/Y2410, FGC17465, A4647, FGC17460, Y3353/FGC12663, FGC17470, FGC17474, FGC17464, FGC17467, FGC17468, FGC14875, FGC14879, FGC14880, FGC14881, FGC14884, FGC14887, FGC14889, FGC14890, FGC14891, FGC14893, FGC14894, FGC14882, FGC14883, FGC14885, FGC14886, FGC14888, FGC14895 to tree on 11 February 2016. Added A564/Z11575, A566, A567, A568, A569, A571, A573, FGC22182, FGC22179, FGC22181, FGC22184, A560, A565, FGC398/Y3445, FGC406, FGC414/Y3449, FGC415, FGC418, FGC419/Y3451, FGC7509, S25190, S25186, A6719, S24099, S19367 to tree; added FGC401, FGC409, FGC398/Y3445, FGC406, FGC414/Y3449, FGC415, FGC418/Y3450, FGC419/Y3451 to tree investigation removed Z3001 from tree on 13 February 2016. Added FGC15048, FGC15054, FGC15060, FGC18013, FGC18015, FGC12018, FGC12021, S17339, S19739, S25007, Y9130/Z17640, ZS4151, S21017, S26115, S11320, S11542/V2110, S15391, S16561, S16818, S19253, S20199, S21058, S23562, Z24515, FGC35794/Y15798, FGC35796/Y15799, FGC35797/Y15800, FGC35804/Y15805, FGC35807/Y15790, FGC35811/Y15793, FGC35813/Y15629, FGC35814/Y15794, M2268/S23267/Y539/Z4948, FGC35809/Y15628, Y15630, FGC35815/Y15795, Y15801, FGC35799/Y15802, FGC35816/Y15806 to tree on 14 February 2016. Added FGC35808/Y15791, FGC35810/Y15792, FGC35823/Y15789 to tree; removed L247.2/S293.2, CTS11440 on 15 February 2016. Added Y1379, Y1376, Y1283, Y1281, Y1282, Y1284, Y1285, Y1292, Y1291, Y1293, Y1294, Y1295, Y1296, Y1303, Y1325, Y1305, Y1306, Y1299, Y1308, Y1310, Y1311, Y1312, Y1313, Y1314, Y1315, Y1316, Y1319, Y1321, Y1322, Y1323, Y1326, Y1329, Y1330, Y2173 to tree on 16 February 2016. Added Y1357 V1024/Y1351, Y1352, Y1353, Y1354, Y1347, Y1357, Y17474 to tree on 17 February 2016. Added Y17475, Y17476, Y17477, Y17478, Y17752, Y17753, Y17754, Y17755, Y17756, Y17757, Y17991, Y17992, Y18120, Y18121, Y18122, Y18123, Y18124, Y18125, Y18126 to tree on 18 February 2016. Added AMM498/S1812, A7108, A7109, A7409, A9872, FGC20726, FGC20727, FGC20728, FGC20733, FGC20734, FGC20735, FGC20736, FGC20739, FGC20740, FGC20743, FGC20744, L884.2 to tree; added AMM490.2/S1786.2 to tree investigation; moved A226, A227, A317, A318, A319 from tree investigation to tree on 19 February 2016. Added AMM277/S1933/Z4713, FGC6183/Y2733, FGC6184/Y5187 to tree on 20 February 2016. Added AMM278/FGC8034/Y2732, CTS7976/S1938, CTS11988, S1920, S1924, FGC30616, FGC30618, FGC30619, FGC30623, FGC30625, FGC30627, FGC30629, FGC6202/S16602, FGC6198, FGC6218, S16752, FGC6212/S19934, FGC6196, FGC6222/S25077, Y16853, A6707, A6714, A6708, A6709, A6710, A6711, A6712, A6713, S267/Z157, S8368, FGC15439, S9639, S9798, S17698, S24924, S25542 to tree on 21 February 2016. Added FGC15332, FGC15335, FGC15339, FGC15340, FGC15343, A1142, FGC15333, FGC15334.2/V1970.2, S9257/Z4714, S1260, CTS6353/S3886, CTS1117/S3885, S17947/Z4721, S19089, Z4715, Z4716, Z4718, Z8180, Z8182 to tree on 22 February 2016. Added S3251.2, CTS3777/S6932, CTS11549/S3894, S6924, S18461, FGC17296/Y6452, FGC17298/Y6460, FGC17299/Y6461, FGC17315/Y6465, FGC17308/Y6462, FGC17297/Y6459, FGC17304/Y6454, FGC17305/Y6455, FGC17307/Y6451, Y6456/Z17913, Y6453, Y6463, S6915, PH4355, CTS10050/M10145, PH2129, FGC28482/Y7884, FGC33315, FGC33316, FGC33319, FGC33320, FGC33321, FGC33322, S6925, S6926, S6934, A688/Y13230, A6715, BY3840, CTS9369, CTS13009.2, CTS3553, FGC8590/Y3465, FGC8576/Y3264, FGC8579/Y3265, FGC8602/Y5054 to tree on 23 February 2016. Added FGC8578/Y3462, FGC8601/Y3466, FGC13261/Y3463, FGC13260, FGC8573/Y5051, A689, Z9487.2, S21495, FGC8587/Y3464, S378/Z158 to tree on 24 February 2016. Added Z345, S383/Z349, Z32, L844.2/PF3572.2/YSC0000275.2, A5616, Z8175, CTS10742, A574/M12015, FGC12057/Y3001, FGC29368, S18890 to tree on 26 February 2016. Added FGC12058, A687, S1774, M11044/PF889, S1670s1, Z25289.2, Y19921, FGC17517, S3512, FGC17515/ZS968, FGC17518, FGC17519, FGC17520, S12035, S19425, S23409, S9565, S26379 to tree on 27 February 2016. Added CTS6428/S3262, S10415, FGC29397/Y12863, FGC29405/Y12853, A300/FGC15573, FGC4150/S20321, FGC4161, S14406. Y15631, Y15633, BY118 to tree; moved A96/FGC10292/Y2999, BY122, BY124 from tree investigation to tree; added S10415, A299/FGC15570, CTS5601 to tree investigation on 28 February 2016. Added FGC36939, FGC11784, S6881, A8050, A6906, S5245, Z27210, A321/FGC17170, S5627, FGC15254, FGC35613, S20422/Y9009, S10024, S10496, S11610, S14964, S24411, FGC5259, FGC5264, FGC5254/V1458, FGC5274, FGC5253, FGC7559/S3590, Y3159 to tree on 29 February 2016. Added Y10790, CTS9241, S6901/FGC904, S6908/FGC915, S6909/FGC903, FGC930/Y11027, FGC935/Y3157, FGC909, FGC919, FGC923, FGC931, FGC937, FGC934, FGC927, FGC940, A6896, FGC921, FGC925, FGC17852, Y10791, A295, A6886, A6883, A8151, A9455, A9456, A9452, A9453, A9454, A9451, A6389 to tree on 1 March 2016. Added BY3323, S27458, FGC17429, S6898, FGC14717, BZ699/FGC17425, L217.2/S1849.2, FGC17415, FGC17420, FGC17426, FGC17427, FGC17430, FGC17344, FGC17351, FGC17352, FGC17355, FGC17356, FGC17362, S22165, S10353, S12597, S10729, S11300, S17564, S19398, S25156, S25232, S11003, S16218, L657.2/S347.2, M3905/S11985, S13759, S15565, S16573, S17910, S21301, S21326, S22495, S25116 to tree on 2 March 2016. Added S20054, FGC4314/Y10966/ZS1850, FGC19759, FGC19760, FGC19761, FGC19762, FGC19763, FGC19764, FGC19765, FGC19766, FGC19768, FGC19769, FGC19771, FGC19774, FGC19775, FGC19776, FGC31516, FGC19756, FGC19780 to tree on 3 March 2016. Added S15510, FGC23425/Y7374, S23231, Y7369, CTS6458, S8958, S20654, S24765, Y7371, Y7378, Y7404, Y7414, Y7370, S25738, S9342, S26063, PF5143, PH3240, Y16505, PH5395, PH765, PH4046, CTS9539/M7348, A8557/BY1476, A8558, S10957, S22294, S4103, S4111 to tree on 4 March 2016. Added S23189, S9355, S21607, A5317, A764, A765, S10271, A6706, BY3320, A2426 to tree; added S4415 to tree investigation on 5 March 2016. Added S19342, S18372, FGC20676, FGC13938, A7220; S9891, S10250, S22641 to tree; added A9850 to tree investigation; removed M1994 from tree; removed L641, L642, L876 from tree investigation on 6 March 2016. Added CTS2908/M666/PF6123, CTS3123/M670, CTS3321/M673 to tree on 7 March 2016. Added CTS4075/M682, CTS7085/M716/Y481, CTS8116/M730, CTS916/M611/PF5859, CTS997/M612/PF6111, CTS2565/M663, F93/M621/PF6114, F102/M625/PF6116, F132/M632, F211/Y290, F245/M659/Y477, FGC189/Y305, M640/PF6118, M643, M689, M691/CTS4862/PF6042/YSC0001281, M710/PF6132/YSC0000192, M748/YSC0000207, M781, PF6120 to tree on 8 March 2016. Added FGC4133 to tree; removed FGC188 from tree due to mutation info problem on 9 March 2016. Removed FGC69, PF6092, YSC0000061, FGC66, L1067, SK2079, Z8148, SK2062, Z8148, L1067, Z8137, FGC47/PF6253, FGC31, CTS5454/M6955, FGC38, FGC32, FGC51, FGC464, FGC49, S349.1, L320, Z8143 from tree -- mutation info not equivalent or not meeting quality guidelines-- on 10 March 2016. Added Z37884, S16433, Z37885, S16994, S24013, S24408, S16906, JFS0011, JFS0010, S15627, BY1053/Y14201, Y14207, CTS4089.2, BY1319/Y14072, DF89, FGC29371, JFS00001 to tree; added Y14069, Y14075 to tree investigation on 12 March 2016. Added FGC9749, JFS2001, FGC12305/Y5976, FGC12306, JFS0006, JFS2004, FGC12307/Y5975, FGC12312, FGC12316, A6402/JFS0004/Z20959, JFS0003, JFS2003, JFS0002, JFS2002, JFS0009, JFS2007, JFS0008, S2006, DF94, S9787, JFS0007, JFS2005, S4060, S4065, S4078, BY1351/FGC30527 to tree; moved DF93/S1687 from tree investigation to tree on 14 March 2016. Added S4056, S40093, S4076, S12282, S4057, FGC19573 to tree on 15 March 2016. Added F295/M685, F33/M603/PF6013, F82/M620, L747/M702/PF5918/YSC0000287, CTS3622/PF6037, L1347/M792/PF6077/YSC0000233, M764/PF5953, PF5938, CTS5815/M696, CTS3229/M672/PF6036/YSC0001265, L1225/M789/YSC0000232, CTS10663/M788, M718, M613, CTS6417/Y480 to tree on 17 March 2016. Added CTS8311/M732, CTS7876/PF6052, CTS11647/Y369, F63/M614/PF6016, F652/M805, L760/M642/PF5877/YSC0000286, F765, F154/M636, CTS9005/M741, M651/Y296, CTS7880/M725/PF6053, CTS2913/M667, CTS2426/M661/PF6033, F459/Y482, F356/M703/PF5919, M799 to tree on 18 March 2016. Removed tree or investigation items not having correct mutation info for haplo R: PF6142, FGC66, V1532, V1980, V2997, FGC59, V3867, PF6150, V4199, L1067, SK2079, Z8148, YSC0000166, S492, BY179, F1400, FGC1401, BY164/Z18019, A161/S5257/Z16325; substituted FGC20422 for S20422 and Y7415 for Y7374 and Y3128 for Y3218 and FGC3181 for FGC3138 correcting error on 23 March 2016. Added SK2155, Y20020, Z29162, V4082, M3349.2/S19922.2 to tree on 24 March 2016. Added FGC11566, FGC12649/Y3365, FGC12650/Y3363, FGC12651/Y3362, FGC12652/Y4669, FGC12653/Y3361, FGC12654/Y3360, FGC12655/Y3359, FGC12656/Y4675, FGC12658/Y3357, FGC12659/Y3356, FGC12660/Y3355, FGC12661/Y3354, FGC12663.2/Y3353.2, FGC12664/Y3352, FGC12665/Y3350, FGC12669/Y3349, FGC12670/Y3348, FGC12671/Y3347, FGC12672/Y3346, FGC12673/Y3345, FGC12674/Y3344, FGC12675/Y3343, FGC12676/Y3342, FGC12678/Y3340, FGC12679/Y3339, FGC12680/Y3338, FGC12681/Y4672, FGC12682/Y3337, FGC12683/Y3336, FGC12684/Y4667, FGC12685/Y4676, FGC12686/Y3335, FGC12687/Y3334, FGC12688/Y4670, FGC12689/Y4671, FGC12690/Y3333, FGC12691/Y4678, FGC12692/Y3332, FGC12693/Y3331, FGC12694/Y3330, FGC12698/Y4674, FGC12699/Y3326, FGC12700/Y3541, FGC12701/Y3325, FGC12702/Y3324, FGC12703/Y3323, FGC12704/Y4668, FGC12705/Y3321 FGC12724/Y3313, FGC12725/Y4677, FGC12727/Y3322, FGC17085/Y4700, FGC22773/Y3543, FGC22775, FGC22793/Y3540, S20555, SK2148/FGC12677/Y3341,Y4673 to tree on 26 March 2016. Added L875/M706/PF6131/YSC0000288, CTS5611/M694, CTS2680, CTS1913/M654 to tree on 27 March 2016. Moved A817, A430 from notes to tree investigation; added A1248, Z1251 to tree on 28 March 2016. Added BY1056, BY1127, BY1734, BY1796/FGC32917, BY1811/FGC32919, FGC32915, FGC32916, FGC32913, A6308, A6309, A1367, FGC32914, A816, A5311, A1154, A8430/BY3247, A8431 to tree; moved A476 from tree investigation to tree on 29 March 2016. Added CTS11075/M795/P6078, CTS207/M600/PF5992, F370/M708/Y479, FGC1168, L248.3/M705.3, M628/PF5868, M760/Y506 to tree; corrected CTS3239 to CTS3229; removed S465.2 due to wrong mutation info for haplogroup R on 30 March 2016. Added ZZ10_1 to tree on 31 March 2016. Added FGC13780 to tree on 1 April 2016. Added CTS3386/S3658,CTS5846/S3654, CTS10044, S3662, S10707, S11699, S17999, S18383, S20753, S25201, S25928, MC14, BY4046 to tree investigation on 2 April 2016. Added S19268, FGC13300, FGC13302, Z17970, Z17971, Z17972, Z17973, Z17974, Z17975, Z17976, Z17977, Z17978, Z17979, Z17980, A7297, A2070, Y16758, Y16759, Y16760, Y16761, Y16762, Y16763, Y16764, Y16765, Y16766, Y16768, Y16769, Y16770, Y16771, Y16773, Y16775, Z19670, A5384, BY246, BY248, BY249, BY2696, BY2699, FGC20987, Y16226, Y16227, Y16228, Y16230, Y16282, Y16283, Y16284, Y16285, Y16287, Y16288, Y16289, Y16290, Y16291, Y16292, Y16293, Y16294, Y16295, BY4047, BY4048, BY4049, BY4050, BY4051, BY4052, BY4053, BY4054, BY4055, BY4057, BY4058, ZS5732, FGC13783, FGC13788 to tree investigation on 3 April 2016. Added S1051, FGC9655, FGC9657, FGC9658, FGC9661, FGC17938, S1959 to tree on 13 April 2016. Added FGC17906, FGC17907, FGC29039 to tree on 14 April 2016. Added Z39589 to tree on 19 April 2016. Added S1026, FGC35995/Y14240, FGC35996/Y14049, A4556/BY2868, BY575, BY577, BY578, BY580, CTS10320 to tree investigation; moved multiple existing subgroups under Z39589 on 21 April 2016. Added FGC392, FGC393, FGC399, FGC404, FGC410/Y3448 to tree investigation; added Y11145, A5840, A5843, A5845, Y16251, Y17212, A5846 to tree; removed S473/Z261 from tree on 22 April 2016. Added A91, A93, A94, A95, A92, BY592/Y10997, Z16245, Z16246, Z17553, BY3070/FGC36456, BY3004/FGC36423, FGC36421, FGC36422, FGC36424, FGC36425, FGC36428, FGC36429, BY2583, BY2584, BY2585, BY2586, BY2587, BY2588, BY2589, BY2590, BY2591, BY2592, BY2593, BY2595, BY2596, A7811, A7810 to tree on 23 April 2016. Moved Y5628, Y5629, Y5631, Y5634, Y5635, Y5638, Y5639, Y5640, Y5641, Y5642, Y5643, BY160/Z18014, BY161/Z18015, BY163/Z18017, BY165/Z18019, BY167/Z18022, BY168/Z18023, BY169/Z18024, BY170/Z18025, BY171/Z18029, BY172.2/SK563.2/Z17470.2, BY173/Z18030, BY174/Z18031, BY176/Z18035, BY177/Z18036, BY178/Z18037, FGC13014, FGC13029, FGC13034, FGC13040, FGC13045, A957, FGC13019, FGC13023, FGC13024, FGC13026, FGC13030, FGC13033, FGC13036, A97/FGC8621/Y3532, A98/FGC8622/Y3515, A99/FGC8624/Y3516, A101/FGC8633/Y3518, A102/FGC8634/Y3519, A103/FGC8636/Y3520, A105/FGC8638/Y3524, A106/FGC8643/Y3525, A107/FGC8646/Y3527, A108/FGC8647/Y3528, A109/FGC8648, A110/FGC8649/Y3529, A112/FGC8655/Y3523, BY281, BY283, ZS1494, MC13, MC04, MC07, FGC5581/Y5650, FGC5584/Y5657, FGC5595/Y5665, FGC5609/Y5655, A41/FGC8002, A43/FGC5594, A44, A45/FGC5597, A46/FGC5598, A47/FGC5605, A48/FGC5612, FGC5563/Y5667, FGC5582/Y5651, FGC5585/Y5652, FGC5589, FGC5590, FGC5592/Y5659, FGC5599/Y5666, FGC5604/Y5648, FGC5607/Y5654, FGC5608/Y5661, F1680, A7735, A7736, A7737, A7738, A7739, A1787, A875, A876, BY115/FGC14676, BY116/FGC14683, FGC14686, S769, S770, S776, S777, S778, S780, S785, S787, S788, S791, S792, S794, S798, S799, S802, Z16846/Y4174, FGC8000/Y2370, S839/SK2221/Y2373, S784 from tree investigation to tree on 24 April 2016. Added FGC22500/Z27685, FGC22503, FGC22513, FGC37173, FGC37163, BY3487, BY3513, BY3497, BY3515 to tree investigation on 3 May 2016. Replaced multiple project names with R1b Basal Subclades Project on 17 May 2016. Added S673, S668, FGC32825, FGC19851, A1330/BY471, A1332/BY470, FGC19846, Z29319, Z29319, FGC19844, FGC42106, FGC19845, A1147, FGC19842, FGC30155, FGC12183/Y7081, A2202/BY2720/Y13577, A2208/BY2702/Y13565, FGC35551, FGC35553 to tree on 29 May 2016. Added FGC19860, S590, S595, S4556, A9885, A8591 to tree; added S592 to tree investigation on 30 May 2016. Added S597, Z598 to tree investigation; added A1777/BY611/Y10789, Y14416 to tree on 1 June 2016. Added FGC30690 to tree on 3 June 2016. Added A822 to tree; added FGC35555 to tree investigation on 9 June 2016. Removed S5490 due to varied concerns on 11 June 2016. Added A984, A694 to tree on 15 June 2016. Added A10535 to tree on 1 July 2016. Added FGC30697 to tree on 5 July 2016. Added BY202, BY203, BY204, BY205 to tree on 15 July 2016. Added FGC42640, FGC42641, FGC42642, FGC42643, FGC42645, FGC42646, FGC42647, FGC42648, FGC42649, FGC43650, FGC43651,FGC42652, FGC42653, FGC42654 to tree investigation on 9 August 2016. Added FGC21706, FGC50198, FGC50325, FGC50333, SK2163, SK2164, SK2165, SK2166, FGC50339, FGC50273, FGC13188, FGC13192, FGC13203, FGC13212, FGC13217, FGC13220 to tree; removed M367.2, M368.2 from investigation on 15 August 2016. Added SK2143, Z29275, Z29280, Z29276, Z29278, Z29269, FGC18147/Y11798, FGC18149/Y11803, SK2153/FGC18146/V2419, Y12093/Z29160, Y1372, Y17451, Z29158, Y11799, Z29159/Y11801, YP5340, YP5341, YP5349, FGC46676, Y23213. Y23623 to tree; removed L384, L385 on 16 August 2016. Added CTS8595/YSC001291, CTS7650/FGC44/PF6544/S1164, PF6543/S1159/YSC0000191, PF6540/YSC0000082, AM01876S1194, A8039, A8040, A8041, A8042, A8045, A8046, Z8050, A8051, A8052, A8053, FGC37082, FGC37097, FGC37100, FGC37104, FGC37107, FGC37112, FGC37115, A8055, A8056, A8057, A8058, A8059, A8061, A8062, A8063, A8064, A8066, A8067, A8068, A8069, FGC37083, FGC37084, FGC37085, FGC37085, FGC37086, FGC37088, FGC37089, FGC37090, FGC37092, FGC37094, FGC37095, FGC37096, FGC37097, FGC37098, FGC37103, FGC37105, FGC37108, FGC37110, FGC37113, FGC37114, FGC37116, AM01877, AM01878 to tree on 24 August 2016. Added PF6517, PF6419, PF6477, F69, L1350, CTS10149/PF6490, CTS10349/PF6492, CTS10451/PF6493, CTS11371, PF6522, CTS1274/PF6422, CTS12972/PF6532, CTS1420/PF5479, CTS1738/PF6449, CTS2466/PF6453, CTS329/PF6400, CTS4608/PF6461 to tree; removed L49.1 on 4 Septemeber 2016. Added V3993, FGC42, FGC40, CTS11948/FGC54, FGC34, FGC52, FGC55, FGC56, FGC43 to tree on 5 September 2016. Added CTS6532/PF6465, CTS6832/PF6467, CTS7400/FGC33/PF6469, CTS7659/FGC50/PF6470, CTS8052/FGC45/PF6473, CTS8321, CTS8336/FGC48/PF6474, CTS8627/PF6478, CTS894/PF6420/YSC0001293, L1348/PF6521/YSC0000238, L1351/PF6528/YSC0000240, L749/PF6476/YSC0000290, L753/PF6486/YSC0000018, L757/PF6488/V3721/YSC0000293, L762/PF6450/YSC0000258, L777/YSC0000248, Z20458, Z20472, Z20462, Z20463, Z20464, Z20465, Z20466, Z20468, Z20469, Z20470, Z20457, Z34426, Z34427, Z34428, Z34429, Z34430, Z20475, Z20476, Z20477, Z20483, Z20484, Z20479, Z20480, Z20481, Z20482, Z5925, Z20478, Z42477, Z42478, Z42479, Z42481, Z42482, Z42483, Z42484, Z42485, Z42486 on 6 September 2016. Added M11805/PF6447, E101/M12191/Y1271, M4435/PF6516/Z2129, PF6265, PF6426, PF6428, PF6429, PF6433, PF6435, PF6436, PF6437, PF6441, PF6444, PF6448, PF6452/YSC0000167, PF6460, PF6462/YSC0000180, PF6466/YSC0000194, PF6496/YSC0000213, PF6503, PF6504/S4969, PF6508, PF6525, PF6527, CTS1415, CTS1416, CTS1418/PF5478, CTS1419, CTS1421/M8208/PF6423, CTS1422/M8209, CTS1417/M11798,CTS3475/PF6456/V2713 to tree on 7 September 2016. Added Y22972 to tree; added A11313 to tree investigation on 23 September 2016. Added A11312 to tree investigation; added A11242 to tree on 24 September 2016. Added CTS8704/S6375, FGC3900/S5199/Y2891, BY9405, BY9406, BY9407, BY9408, BY9409, BY9410, BY9411, BY9414, BY9416, BY9417 to tree on 15 October 2016. Added BY4142 to tree on 10 November 2016. Added FGC57535, Y26635, Y26636, Y26637, Y26638, Y26639, Y26640, Y26641, Y27978, Y27979, Y27980, Y27982, Y26630, PH3643, PH4650, Y26631, Y27986, Z29155, Z29156, Y1377 to tree on 16 November 2016. Replaced PF6014/S9 with F47/M607/Y472 which is the correct information for that SNP location on 17 November 2016. Added FGC22779, FGC22781, FGC22782, FGC22783, FGC22784, FGC22785/Y4701, FGC22786, FGC22787, FGC22788, FGC22789, FGC22790, FGC22791, FGC22796, CTS4342/Z2773, FGC39202, FGC12668, FGC12666, FGC39279, FGC22778, FGC22794, FGC12723, FGC17088 to tree on 18 November 2016. Added Frances James as contact person for R-CTS1751 part of tree on 12 December 2016. Added Z16267, FGC23375, FGC23377, FGC23378, FGC23380, FGC23381, FGC23384, FGC23386, FGC23387, FGC23390, FGC23392, FGC23393, FGC23394, FGC23395, FGC23397, FGC23398, FGC23399, FGC23400, FGC23402, FGC23403, FGC23404 to tree on 16 December 2016. Added FGC19706/Y14024, A2942.2/FGC33403.2, FGC33372, FGC33373, FGC33375, FGC33376, FGC33378, FGC33379, FGC33386, FGC33393, FGC33396, FGC33397, FGC33398, FGC33399, FGC33402, FGC33405, FGC33407, FGC33408, FGC33409, FGC33410, PH129, PH1665, PR2301, PH4022, PH4392, PH5393, S7858 to tree on 17 December 2016. Added A51/Z3001, A54/AM00501/AMM283/S954/Z3003, A55/AM00503/AMM285/S957/Z3005, A57/AM00506/AMM288/S964/Z3010, A58/AM00507/AMM289/S966/Z3011, A59/AM00508/AMM290/S967/Z3012, A61/AM00509/AMM291/S968/Z3014, A62/AM00510/AMM292/Z3015, A63/AM00511/AMM293/Z3016, AM00504/AMM286/S960/Z3007, Z2993 to tree on 18 December 2016. Copyright 2016, International Society of Genetic Genealogy. All Rights Reserved.